David Cummings and Adam Blitzer explain how to automate your sales process and how marketing automation can save you time and increase your customer count. Segment your customers: It’s nothing new to segment your customers into age, location or job occupation. But you could also segment your customers into their willingness to buy. They propose to add scores for each customer on which they get treated differently. For example, you could give someone +10 points, if he enters his email address or +25 if he downloads the trial. This allows you to tailor individual action to each willingness segment. Join your customer informations: Most companies got a CRM, website analytics, bid on Adwords and maybe work with salesforce.com. It’s important to collect all data and make it more useful. If you connect your CRM and website analytics, you can ask people why they don’t use your website anymore or offer upgrades for power users. But beware, it shouldn’t be too creepy. Drip marketing: In Referral Engine I presented this concept at first. It’s about staying in touch with your customers and prospects. You can send them useful information, offer specials or invite them to webinars. It becomes especially powerful if you use it with customer segmentation. You could take people with low willingness scores into a nurture program where you offer them useful information and slowly build a relationship. There are some really cool ideas which only a few companies use today. I think these tools are extremely powerful and you should really consider starting to employ them. 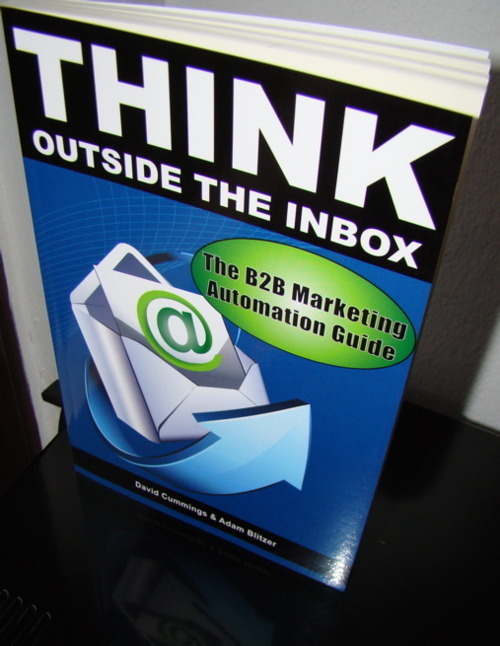 Think Outside the Inbox is not really a how to guide but maybe there is one. If you know one, please comment on this post. Thanks!